We scoured the grounds for all the free swag and stopped for a few massages along the way. Because you’ve already paid $20 for parking and $20 to get in. 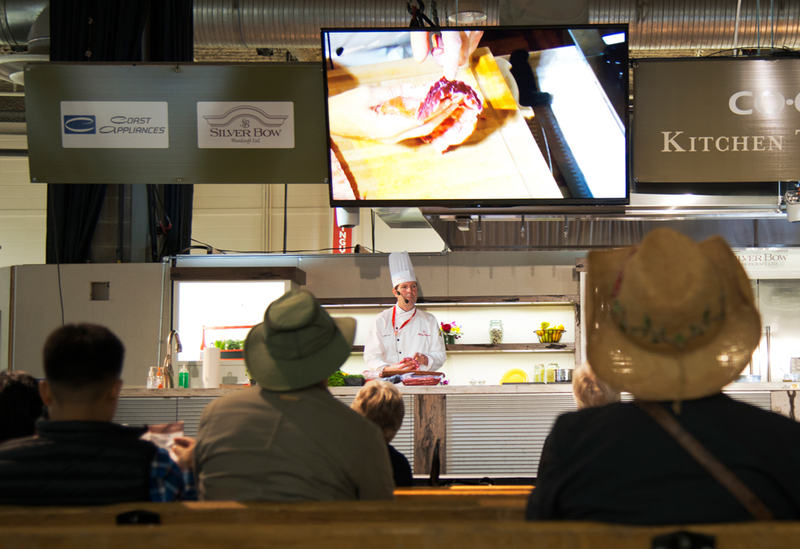 There is a truly star-studded line-up of local chefs who take turns onstage at the Calgary Co-op Kitchen Theatre in the Western Oasis. Julie Van Rosendaal, Elizabeth Chorney-Booth, Bernard Callebaut, Pierre Lamielle, and Chef Duncan Ly all make appearances, not to mention Naina’s Kitchen, Wings n Tings and Bonterra Trattoria. True beginners should not miss the Calgary Fire Department’s Kitchen Fire Safety segments. And yes, you get to sample the food. 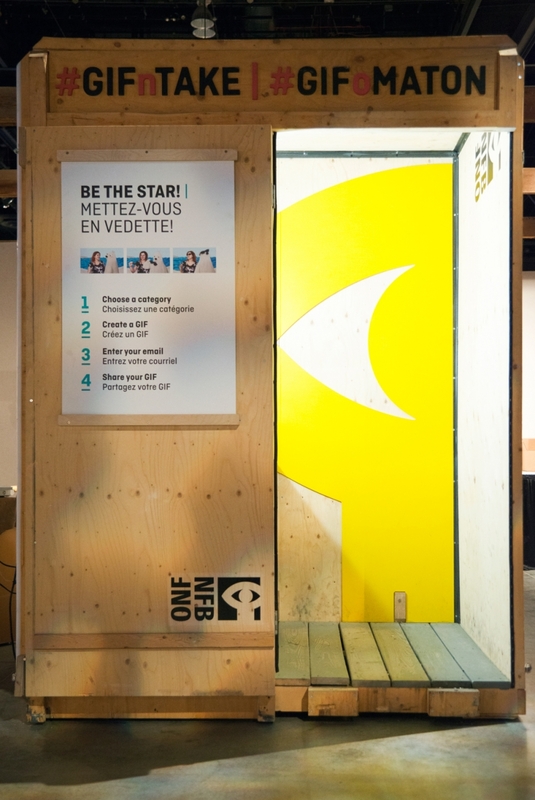 The National Film Board has a photo-booth set up where you can star in your own GIF alongside some classic NFB animations. You can choose from theme themes – Canadiana, Love, and Zany. Find it in the Western Oasis. 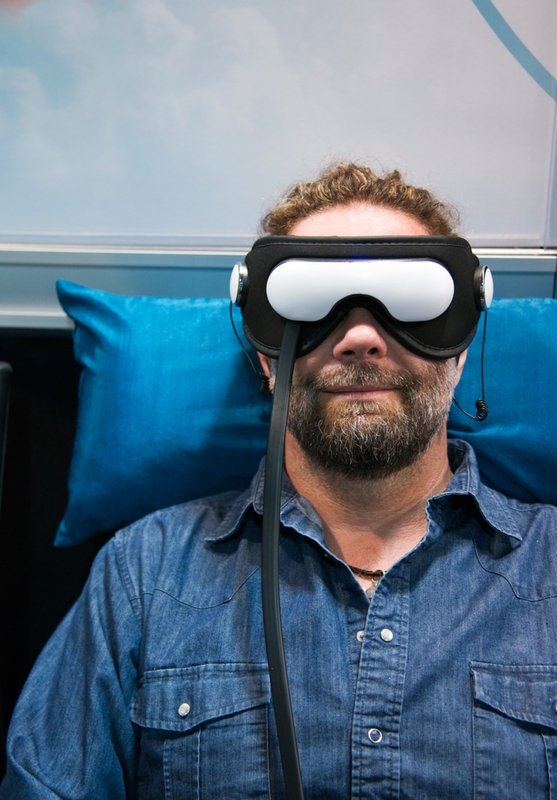 You’re in the Exhibition Hall, so you’ll need to put up with a brief sales pitch, but then you get to enjoy a free eye massage, courtesy of the Smart Living Eye Massager booth. (The mask also has headphones, with nature sounds or relaxing music, if you’re trying to tune out completely). Just make sure before you sit down that you’re at the massage booth, not the Virtual Reality headset booth. Wander over to the agricultural complex to get the full line of classic Alberta swag: bumper stickers, smaller purse-size stickers, pencils, pens, and of course, temporary tattoos. 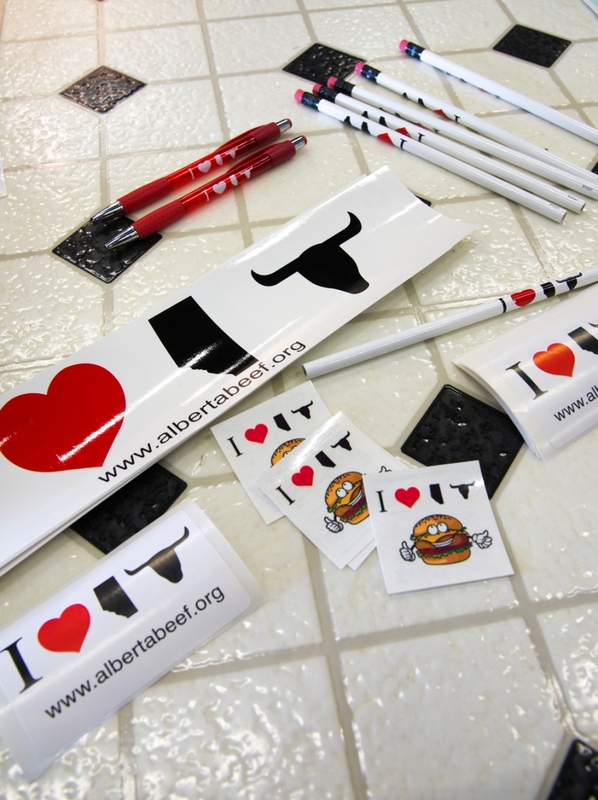 You’ll have an “I heart Alberta Beef” freebie for every occasion! 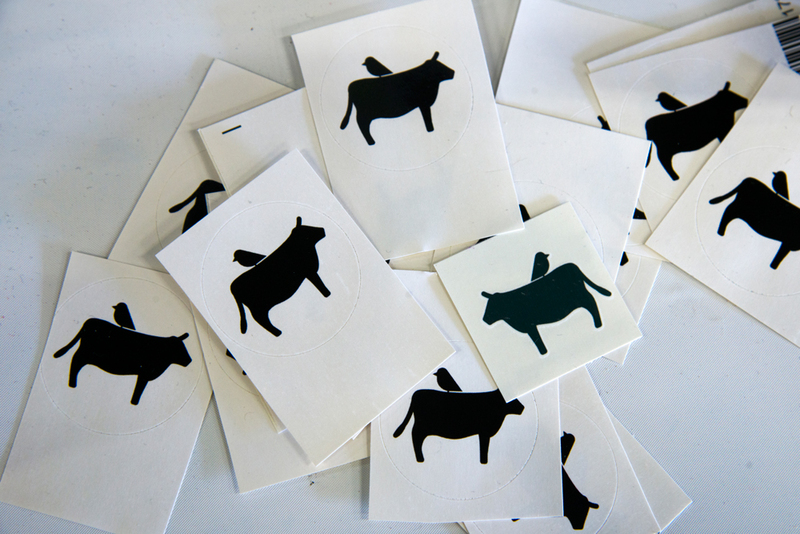 Whether you’d like to show your love for beef, pork, chicken, lamb, or sustainable ranching practices, the ag displays have a free temporary tattoo for you. Extra points if you can collect enough to give yourself free full sleeves. 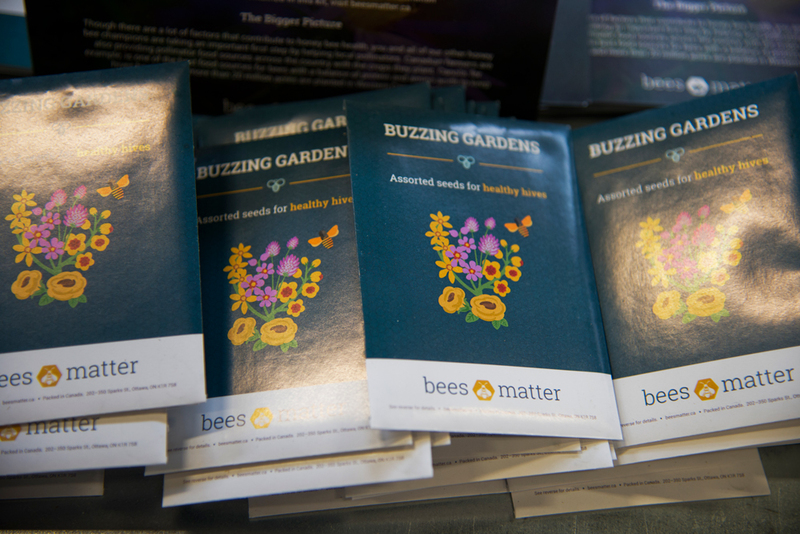 You can start your own wild bee ranch in your backyard and do the earth a favour with these free packets of wildflower seeds courtesy of Bees Matter. Plant the seeds, and you’ll soon have an array of honeybee-friendly flowers blooming and bringing all the bees to your yard. Just follow the signs that say “Honeybees”! There is a booth in the Adventure Park that is full of eager massage therapy students from Makami College who are working on their practicum hours. For heaven’s sake go help these folks get their education and sit for a ten-minute massage, completely free. If you catch them during a lull, you may be so fortunate as to have one therapist working on your shoulders while another does your arms and hands. Ahhhhhh.